A real six day trail ride staying overnight at guest houses and country inns. We all look forward to welcoming you on The Red Kite Trail. 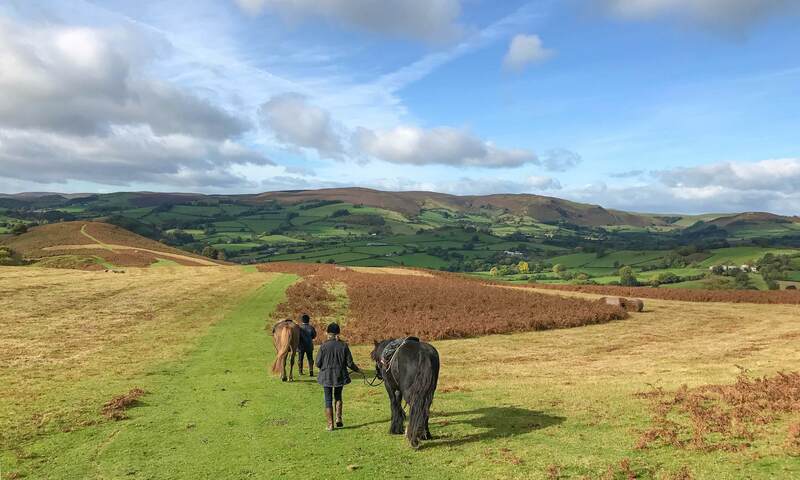 Starting from Freerein HQ you head northwards over the Begwns to Painscastle then east travelling the old drover trails and open hillside to stay at Goblaen Guest House. This horse riding holiday then continues northeast towards the New Radnor plain and a night at Old Radnor. This trail is named after the magnificent Red Kite. You may be lucky enough to see some on this trail. They are very distinctive because of their forked tail and striking colour – predominantly chestnut red with white patches under the wings and a pale grey head. Persecution meant that the bird was exterminated in England, Scotland and most of Wales by the end of last century. Only in rural Mid Wales did the Red Kite hang on, their numbers down to just a few pairs. Thanks to the efforts of a number of individuals and organisations numbers are now increasing. 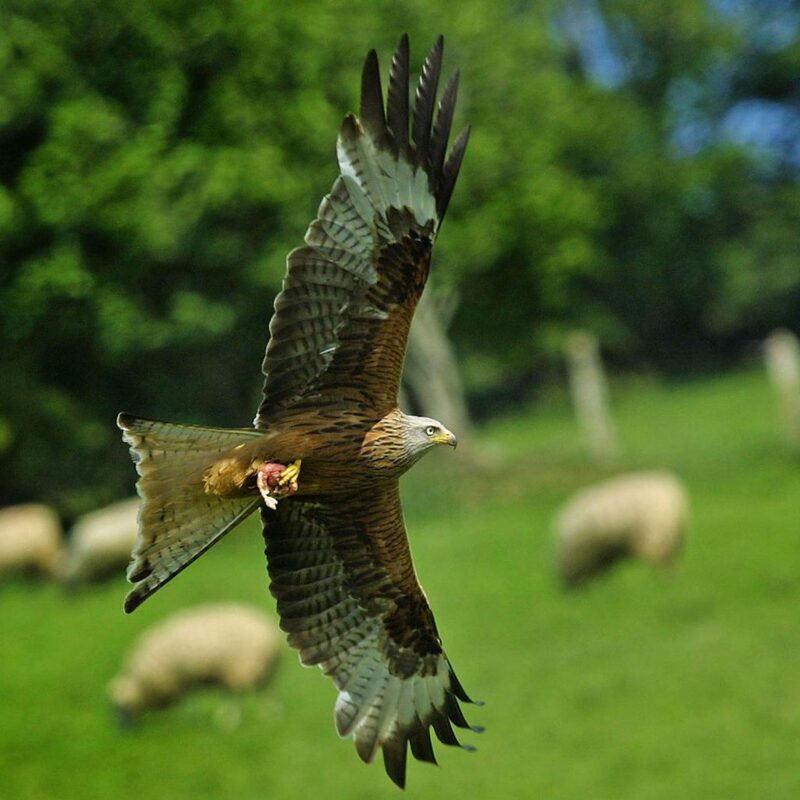 Happily sightings of the Red Kite are now common on many Freerein trails. From New Radnor the trail swings north and over the Radnor Fforest (the highest point in Powys) before coming gently to land at the smallholding of Lower Fishpools where a warm welcome awaits horses and riders. From Fishpools you circumnavigate the western side of the Radnor Fforest and drop eventually down to stay at either Glanoer or Bettws. The fifth day on trail finds you exploring Gwaunceste Hill before coming to Newgate guest house for your final overnight stop. Your final day takes in Llanbedr Hill and the western side of the Begwns. 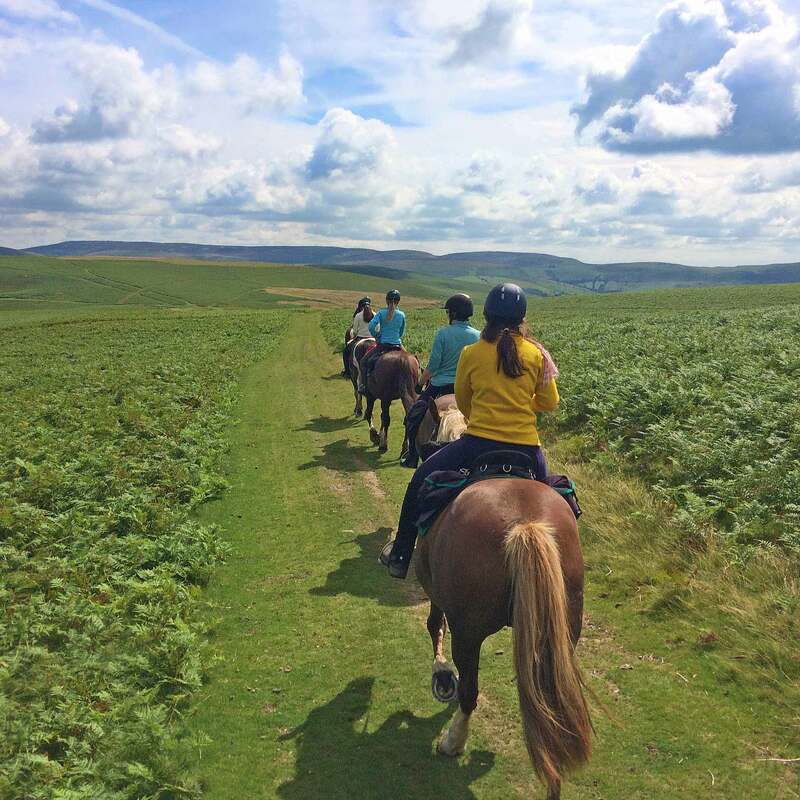 Then back to Freerein HQ for tea and cake – Well done! Arrive at Freerein HQ at 9am. Pack saddle bags then prepare your horses. Go through your individual route pack & depart. Out on trail all day to New House or Cwmfillo. Arrive at your accommodation, untack, feed & turn your horses out in the field. Feed, groom and tack up your horse. Out on trail all day to the Harp Inn or Bracken Ridge. Feed, groom and tack up your horse. Out on trail all day to Lower Fishpools. Steady hacks through forestry and exhilarating canters on open hillsides. Very little roadwork. Ponies were fit and willing.